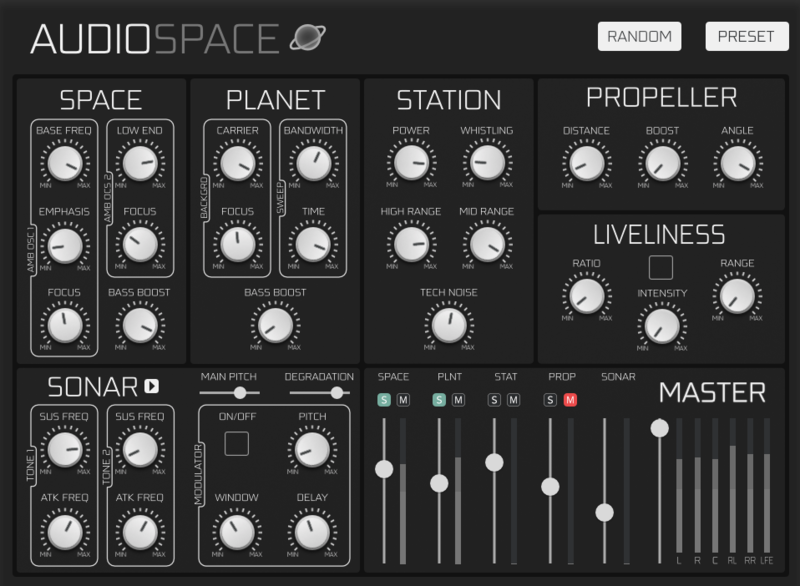 AudioSpace is a synthesizer dedicated to the emulation of space ambiance sounds. The synthesizer is based on AudioGaming’s dynamic modeling technology and uses no sampling. That is, it produces sounds by solving, on the fly, mathematical equations modeling multiple aspect of a what could be the rumble made by different kinds of large ships. This complex synthesis engine responds dynamically to the control signals it receives and exposes high”level controls carefully mapped to the low”level synthesis model. 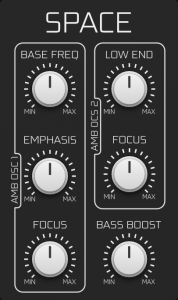 Combining multiple low pass filters and band pass filters, the Space module combines multiple oscillators to create rumble sounds that could come out of a spaceship. 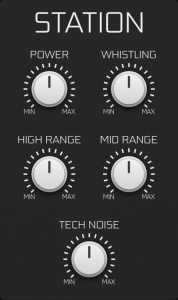 It can be used for any of your sci-fi space ambiance needs as well as any other production where you might need a deep rumble sound. The Planet module signature effect is the sweep that will give it a more “alien” and strange planet feel. 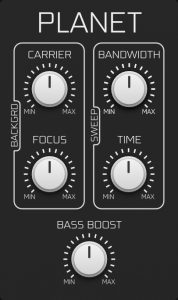 The controls will allow you to change the background sound as well as the sweep properties. The Station module combines multiple oscillators and uses a similar technology to the Space module. Instead of giving you space sounds, this module simulate more “technological” sounds allowing you to simulate a massive sci-fi space station or spaceship. 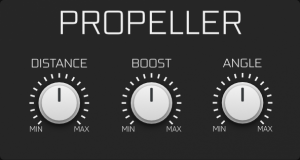 The Propeller module combines multiple oscillators and uses bandpass filters to recreate the sound of a propeller. Using a combination of the parameters available will allow you to sculpt the sound to fit every needs you might have for this kind of sound. 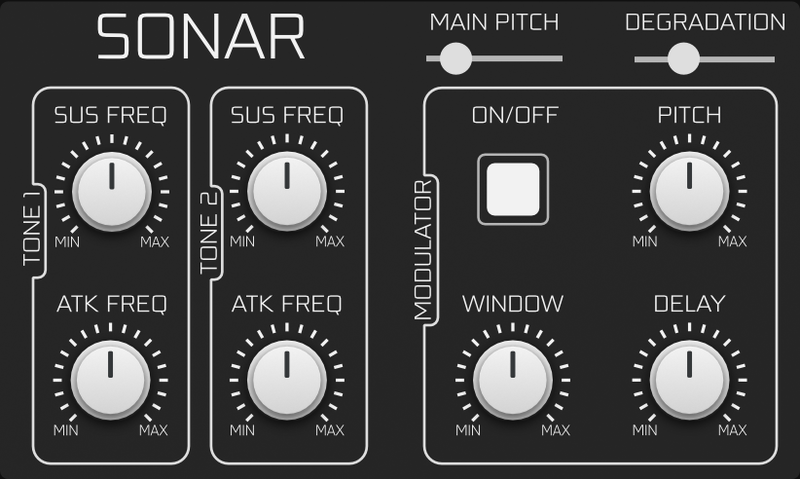 The Sonar module combines multiple filters and effects allowing you to recreate any “beeps” from a regular sonar sound to extremely distorted sounds. to do this you get controls over the two main oscillators. 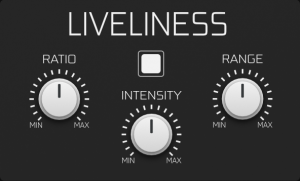 The Liveliness module affects every module in the plug-in allowing you to have more variety to the sounds by shifting the frequency of the multiple oscillators according to a range and a step.